Two of Britain's biggest banks have failed to give some of their customers their legal right to cancel recurring payments set up to pay for services like gym membership, internet security or payday loans. The admission came after Money Box raised the issue with Lloyds Bank and Santander who both admitted that they had not always complied with the law. Lloyds has acknowledged that more than two years since the law came into force it has not updated the terms and conditions on all its accounts to reflect the rules. Bob Howard reports and Paul Lewis talks to Mike Dailly from the Govan Law Centre and Mark Bowman from UK Payments. A website called encash that connects individuals willing to lend money with those wanting to borrow has cut the maximum rate that lenders can ask. That has prompted some lenders investors to withdraw their funds. They say that by cutting the rate, encash - which used to trade as YES-secure - has stopped them getting a decent rate of return for the risks involved. 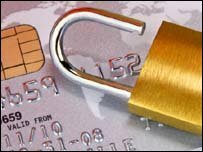 The FSA is sending a letter to more than seventy six thousand people warning them that they are on a "suckers" list and at risk of being targeted by fraudsters trying to con them out of their money. The list has been collated from info seized from dodgy companies which have been investigated by the FSA. It is the largest number of target victims that the FSA has ever contacted in one go. We speak to Jonathan Phelan, the FSA's head of unauthorised business and hear from one investor who has been stung three times by cold calling crooks. Who does best at picking shares? An expert? Or a monkey with a pin? In a recent UK share picking contest the monkey with a pin came in the top ten percent. Don't worry, no animals are harmed or even used. It is in fact all done by computer simulation. But the phrase monkey with a pin has been adapted by amateur investor Pete Comley for his new self-published book in which he challenges many of the firmly held views of the investment industry. He debated his views with Mark Dampier, head of research at financial services provider Hargreaves Lansdowne. BBC Radio 4's Money Box is broadcast on Saturday at 1204 BST.